Well, I have been working away quietly on my goals this month. I thought I should mention this to you dear readers especially for those seriously planning that overachievers intervention for me. My monthly to-do list is simply a guideline of projects I'd like to work on during the month. Some things get listed every month with the best of intentions and yet never find their way to my work desk. Other items I may only work on them for a 1/2 hour but it's the steady progress of moving forward that motivates me. It's my map and as with any good journey, diversions and pitstops along the way are constant. The map helps me find my way back to the road when I've been off wandering. I just updated my website with some new spots and few illustrations that have been on this blog, but needed to be put up at humblearts. I hosted our annual Critiquenic with our local SCBWI chapter this weekend. I had a great time and appreciated everyone that turned out for the event. I brought along a manuscript that I've been revising for a while. A picture book that I'm dying to illustrate. 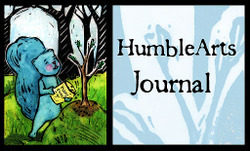 Writing is tough stuff, but one of my major life goals is to write and illustrate my own books. 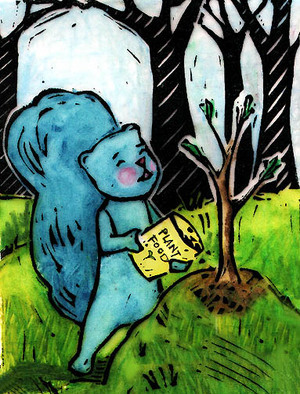 And speaking of writing and illustrating, are you ready to turn various shades of green? I'm signed up to take the classes with Tomie DePaola, this summer at the SCBWI National Conference. I'm beyond excited! Enjoy your journey this week. I thought I'd get back to the monthly to-do list, since they help me keep on track! 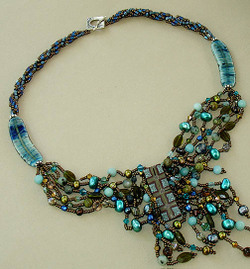 Sell beads at the Bead Society Meeting this week. 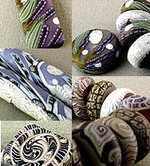 Finish making beads for a beadstore. Send out two articles that are long overdue. Teach kids how to make Magic Books at the McNay Family Day. Finish 2 dummies, 1 picture book, 1 easy reader and send them out. 2 finished pieces of artwork as samples for the dummies. Make another promotional postcard to send out. Look into the possibility of hosting an Illustrator's Retreat. Make a raised bed garden. Purple - this coming week. Teal - the third week in May. Green - the last week and half of May. 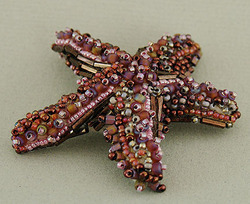 New Bead of the Month is up over at humblebeads.com. 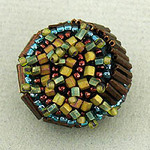 Also listed a few weeks ago is the kit to my Sundry Bracelet that I taught on the cruise. It whips up quickly in an afternoon. It's been fun to see pictures of everyone's bracelet from the Bead Cruise! What will they be doing next? My critique group had a monthly theme that we used as a creative springboard for April. April's theme was growth. Here we have this little guy who gave up one of his acorns in hope of a future full of his favorite treats. Of course, nothing wrong with trying to give Mother Nature a hand. Roz, Janee, Patrice, Laura & Paige.